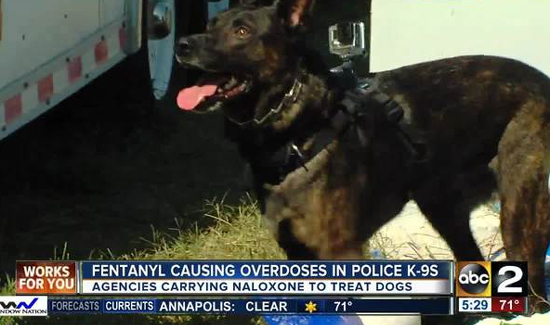 While some police officers and officials are opposed to the idea of cops carrying Narcan because they believe it’s a “soft on crime” approach, there is also the issue of officer safety, with respect to scenarios in which cops are exposed to dangerous levels of fentanyl or other opioids. Local law enforcement agencies responded to a recent Texas Attorney General’s opinion which allows law enforcement agencies to carry drugs used to treat opioid overdose victims and first responders who are accidentally exposed. On the national level several agencies have issued warnings about the dangers of exposure to law enforcement and other first responders, such as hospital emergency room workers. The National Institute for Occupational Safety and Health, the Drug Enforcement Administration and the Center for Disease Control have all weighed in recently citing the need for first responders to be protected. “The medical effect of the opioid antagonist, which is usually administered as a nasal spray or autoinjector, has been likened to resurrecting someone from the dead,” AG Ken Paxton stated in his press release. Narcan is another name for naloxone, a man-made opioid antagonist which reverses the effects of opioids.